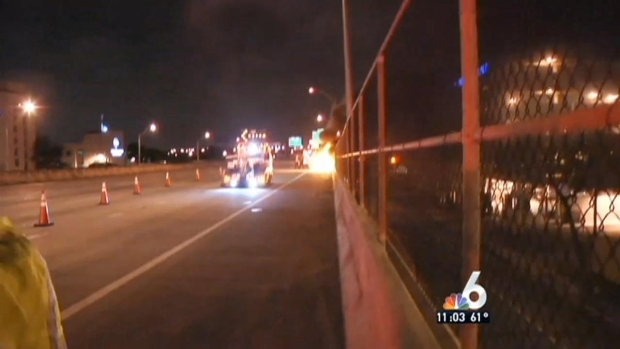 Two people were killed in a fiery crash on Interstate 95 in Miami early Wednesday morning. Florida Highway Patrol officials said the crash happened just before 4 a.m. on I-95 NB just before Exit 3A SR-836/Airport/Um/Jackson VA Hospitals. A car that was headed northbound slammed into the barrier that divides the southbound and northbound lanes, troopers said. The car ricocheted and burst into flames as it crashed into the far right barrier on the northbound side. FHP officials said a road ranger who was first on the scene pulled the driver out of the car, but it was too late. 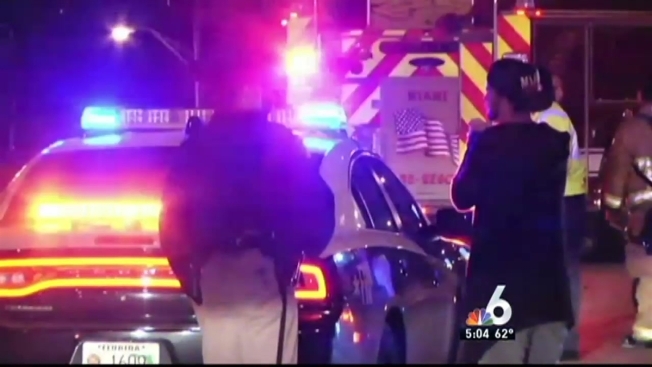 The Florida Highway Patrol is investigating after two people were killed in a fiery wreck on Interstate 95 in Miami. "My hat's off to the road ranger," said Joe Sanchez with FHP. The two men inside the vehicle were killed. FHP said they were in their 20s and the driver was from Illinois. Their names have not been released. The northbound lanes were shut down as troopers responded to the area but have since been reopened.